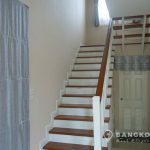 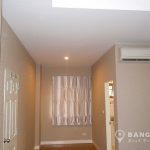 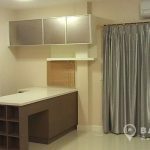 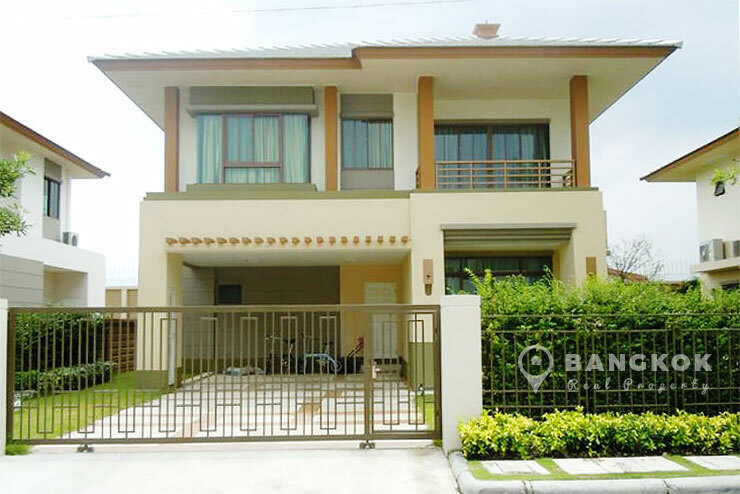 A modern, detached, 3 bedroom family house is now available to rent at Setthasiri Bangna-Wongwaen conveniently located next to IKEA & Mega Bangna. 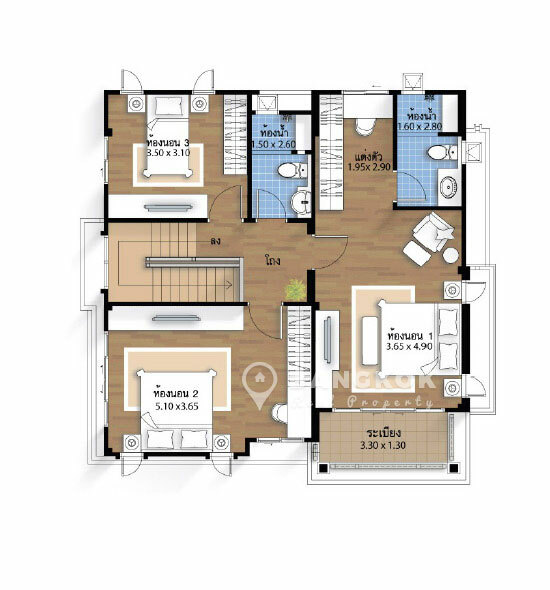 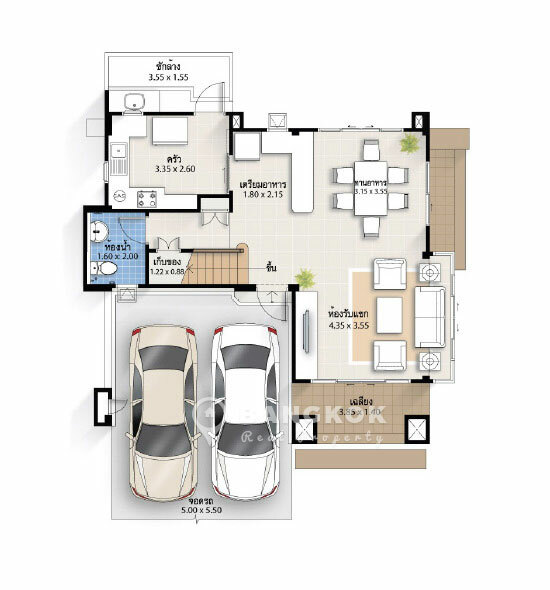 This secure gated community, built recently by Sansiri gives residents easily access to IKEA, Mega Bangna, Paradise Park, Bangkok Pattana International School, Samitivej Hospital and Green Valley Golf Course. 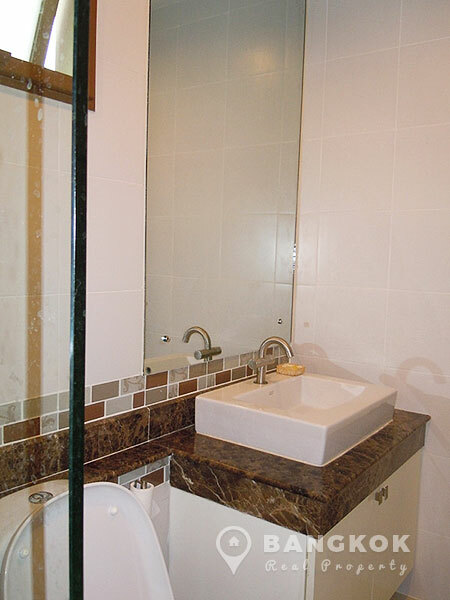 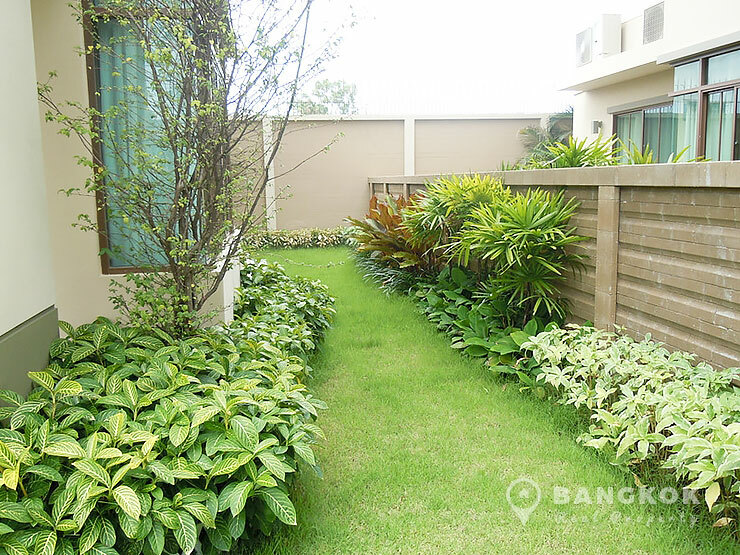 The compound is well connected to nearby expressways, via Bangna – Din Daeng is a 20 minute drive to downtown. 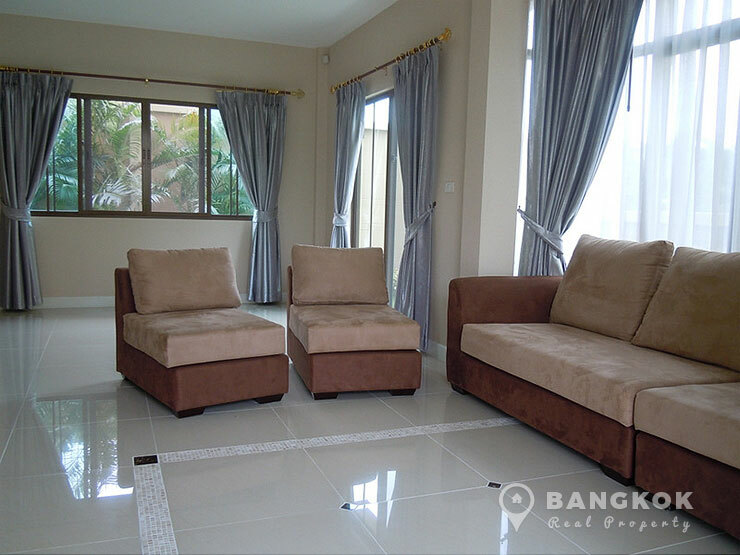 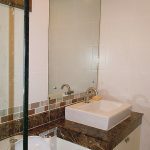 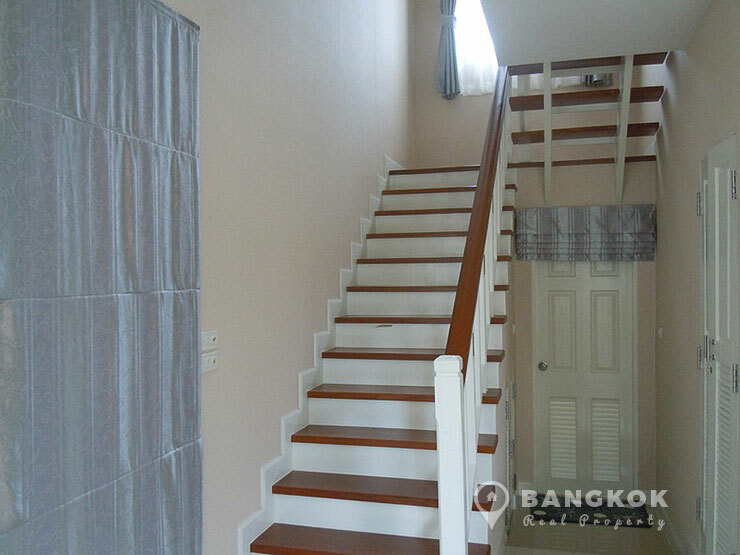 This 3 bedroom, 3 bathroom house at Setthasiri Bangna-Wongwaen, has 170 sq.m of living space, with ceramic tiled floors throughout, wooden floor in the bedrooms, the house is partially furnished and comes with air conditioning throughout. 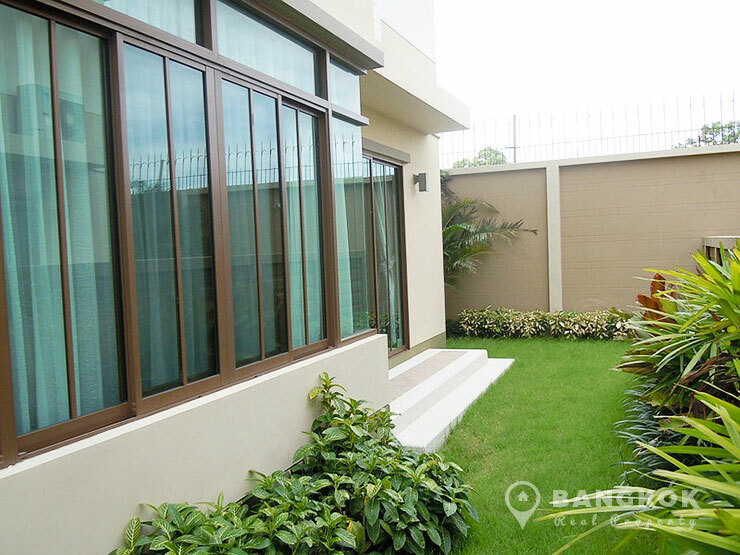 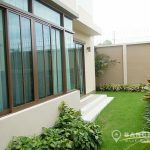 Outside is a utility area and planted gardens around the house with a nice lawn. 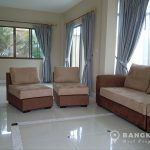 Pets are allowed with discussion. 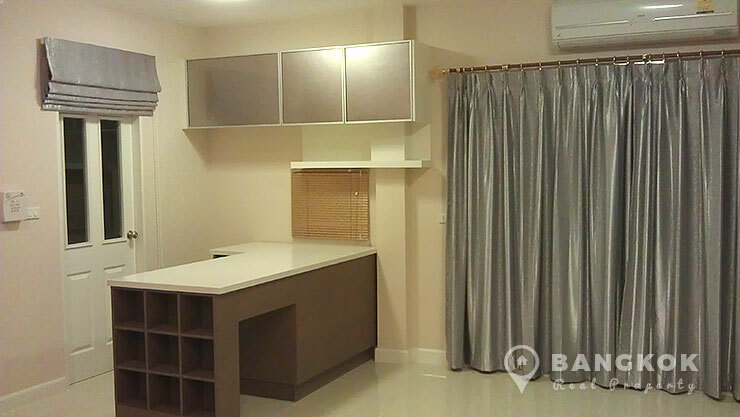 Setthasiri Bangna-Wongwaen is a housing project, located near IKEA / Mega Bangna. 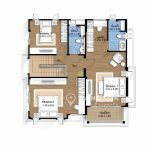 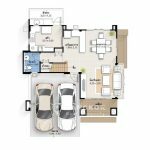 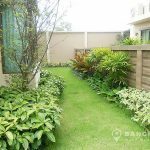 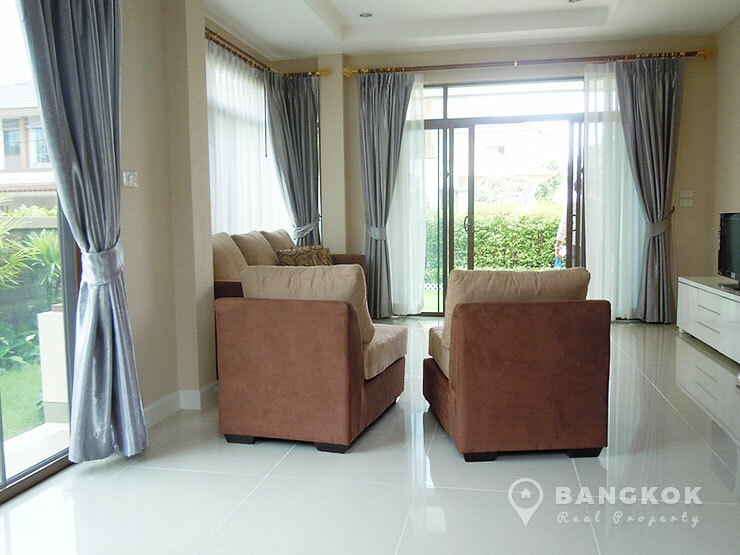 Setthasiri Bangna-Wongwaen developed by Sansiri and this project comprises of detached 3 and 4 bedroom houses set in a secure compound with a clubhouse, swimming pool and landscaped grounds.